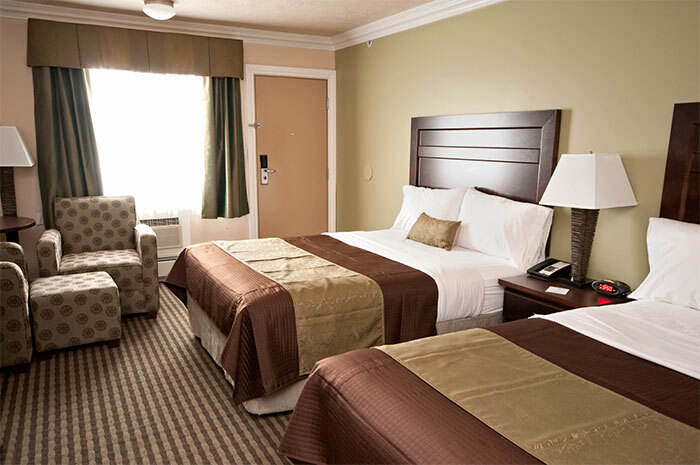 Furnished with a plush queen bed and a variety of convenient amenities, our Single Room offers one of the best values in High Level hotel rooms. Enjoy free high-speed Wi-Fi, a 40” LCD TV with HD cable, in-room Starbucks coffee and more amid upscale appointments like birch wood furnishings and granite countertops. 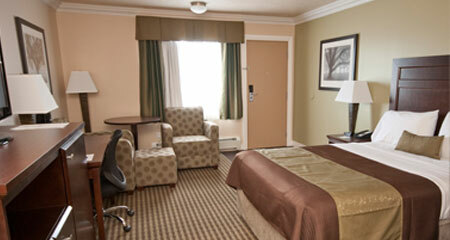 With two plush queen beds, the Double Room can accommodate up to 4 guests in comfort and style. 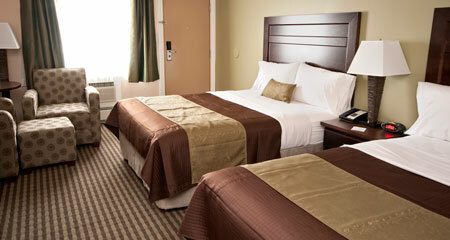 Catch up on work with the ergonomic office desk, enjoy freshly brewed Starbucks coffee or surf the web with free high-speed Wi-Fi—all our standard in-room amenities are yours to enjoy in this spacious yet economical room.